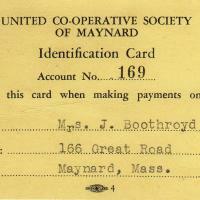 Margaret Boothroyd's identification card to be used at the Co-op to make payments. 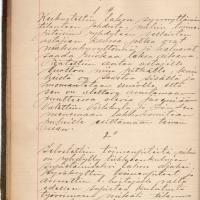 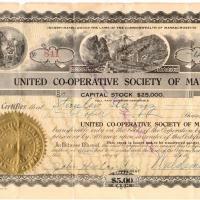 A certificate issued to Stanley Slabyz for four shares of capital stock. 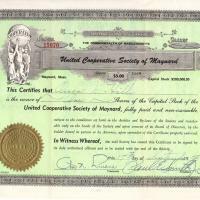 One share of stock issued to Owen J. Hill in 1956 for the sum of $5.00. 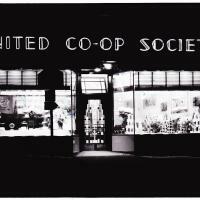 The Coop was on Main Street.